Bobbleheads - Presidential and Historical! 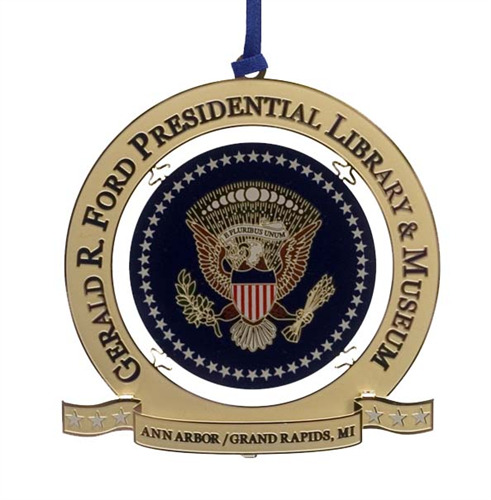 An ornament commemorating the Museum's heritage. The Presidential Seal, on a bed of navy, is surrounded by a gold band. Comes with navy gift box embossed with the Seal. Ornament size is approximately 3" round.